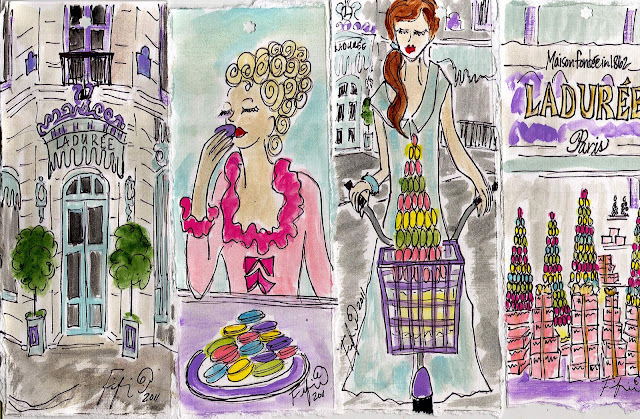 Fifi had her FIRST Parisian macarons via Ladurée... Raspberry, Vanilla and their NEW flavor Orange Blossom... the Orange Blossom was my FAVOURITE!!! in My Fashionable Book Shop!!! Be sure to see what other treats people have on their tables today via Between Naps on the Porch! Is it possible to buy just a bookmark and not the book? Fifi ... so beautiful! 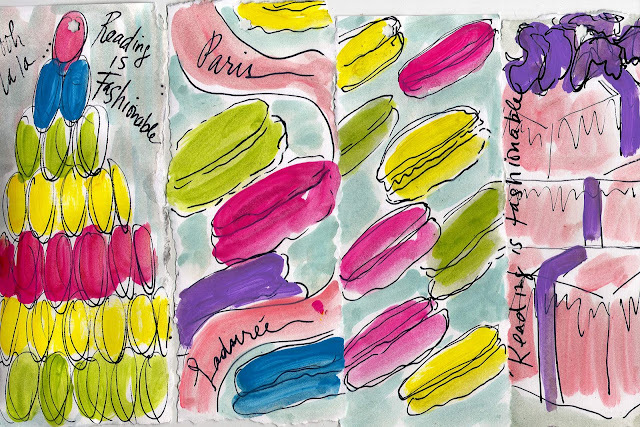 I love Laduree and I love the bookmarks you have done! You are such a lucky girl! Love this painting! Is that Marie I see eating Laudree macaroons? I wonder if she ever told Louie about her secret obsession with macaroons? Lucky girl!!! The painting looks fabulous. Oh what fun! Macarons have certainly become the rage, and I ate my first one a few days ago in Paris. Great bookmarks! Laduree, you have a very kind friend. What a lovely treat! I went to their store in October last year. What a special place that is.